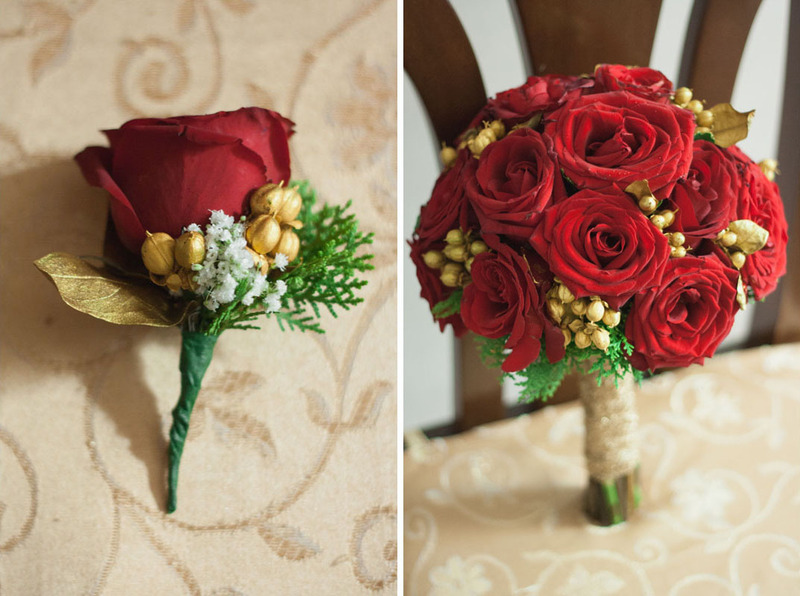 Just in time for the season, we had a Christmas themed wedding for a couple from the US. 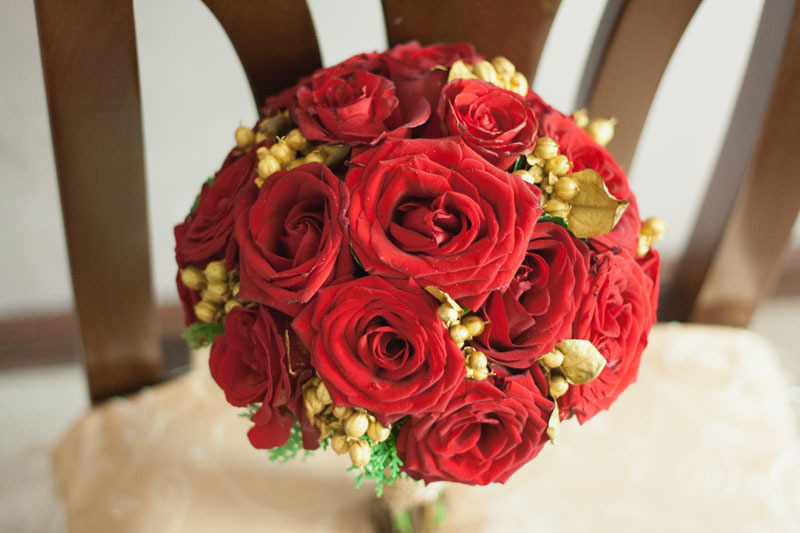 To give that warm Christmas feel, we used classic red Ecuadorian roses and gold painted hypericum berries. 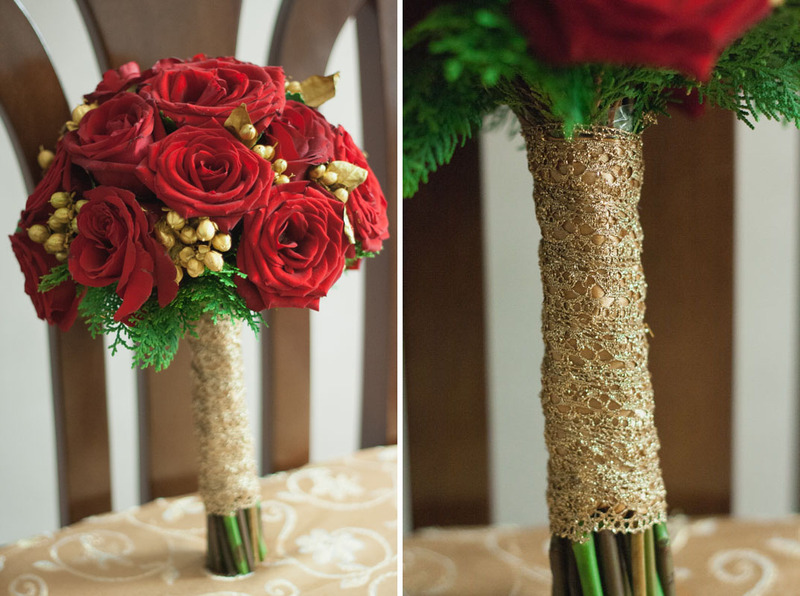 Gold lace was applied into the handle. 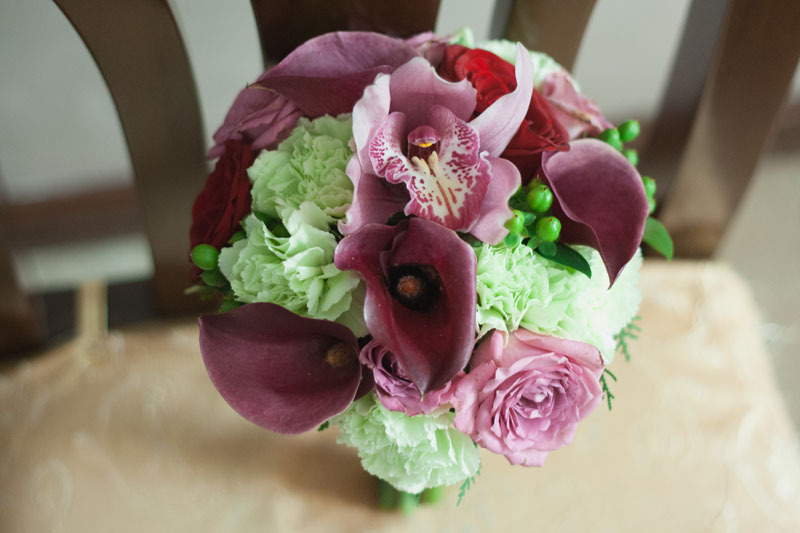 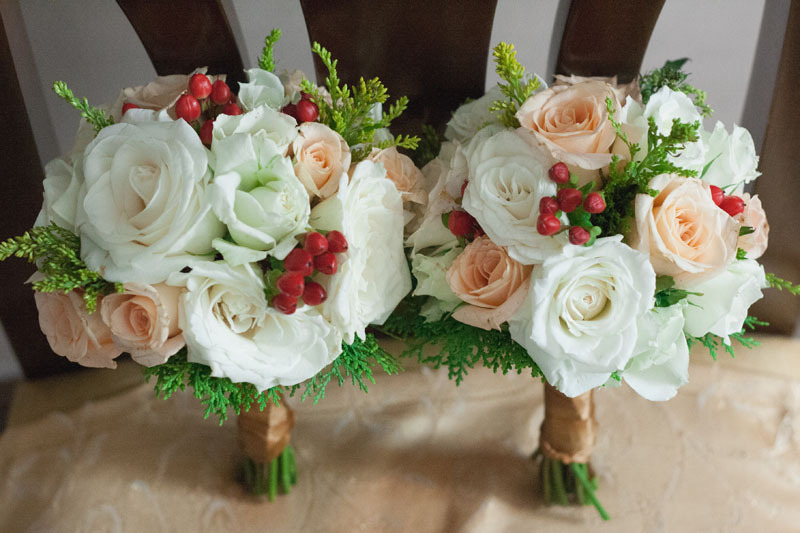 The entourage bouquets were inspired by different elements of Christmas – snow and mistletoe. 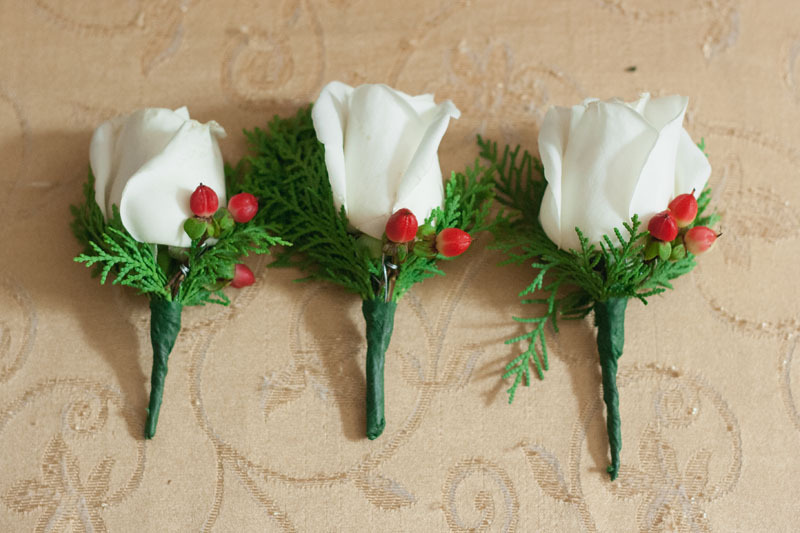 The first set of male boutonnieres had white roses and red hypericum berries. 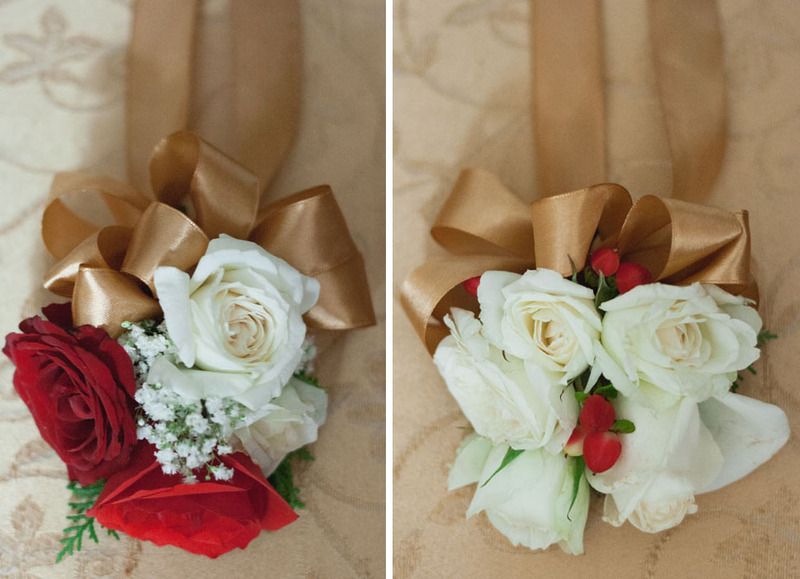 The second set of male boutonnieres had red roses and hints of million star fillers which looks like snow. 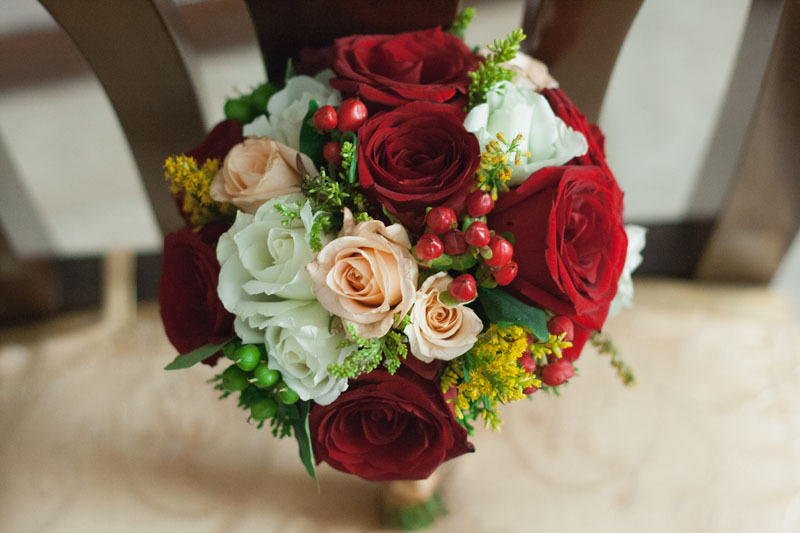 The female entourage will be wearing red so we used light colored flowers with hints of red hypericum berries to make the flowers compliment yet stand out. 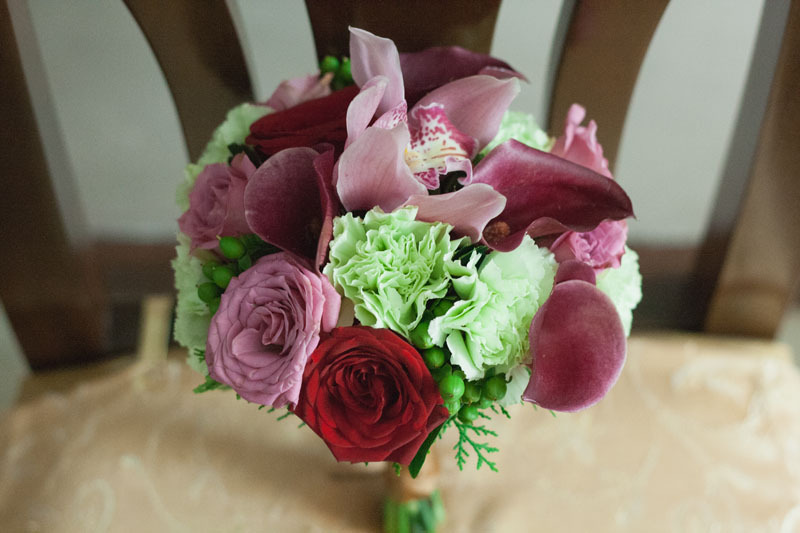 For the mothers, we used plums and greens to compliment their elegant champagne gowns. 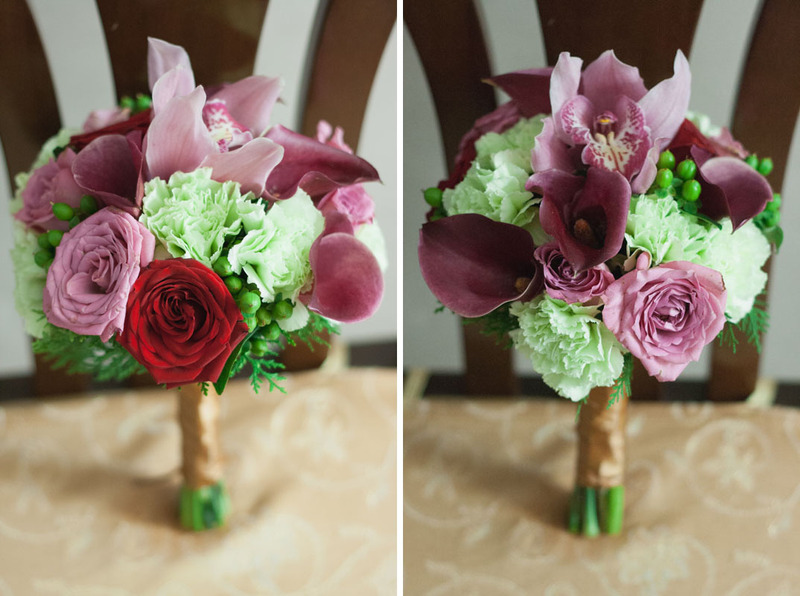 Flowers girls were also in theme. 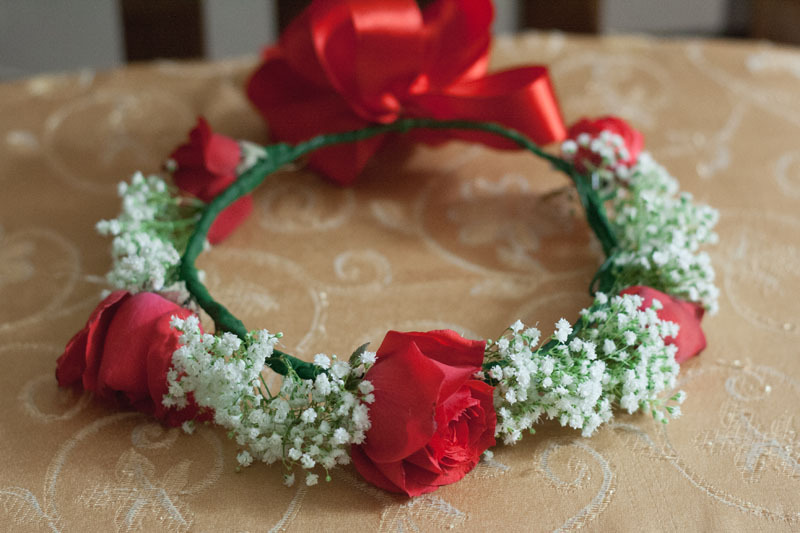 They wore halos made of red roses and million star fillers. 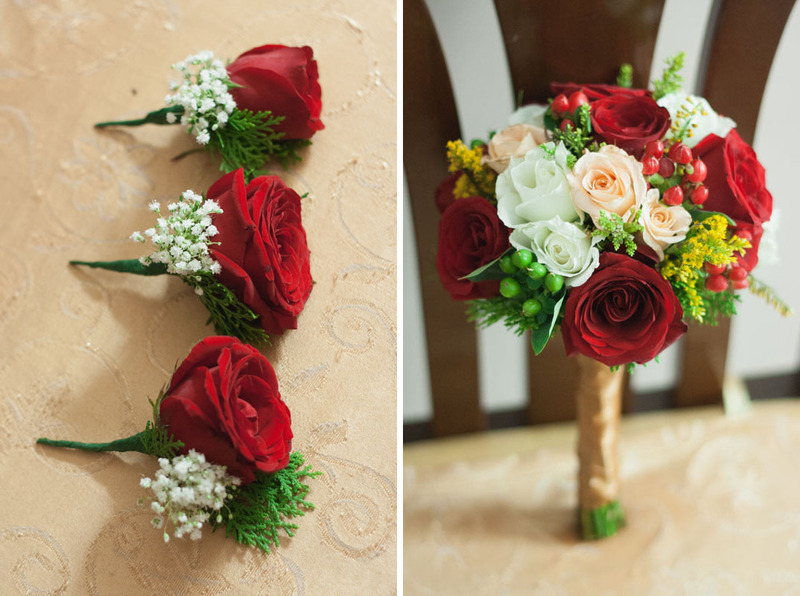 Lastly, the groom’s boutonniere matched the bridal bouquet’s flowers.